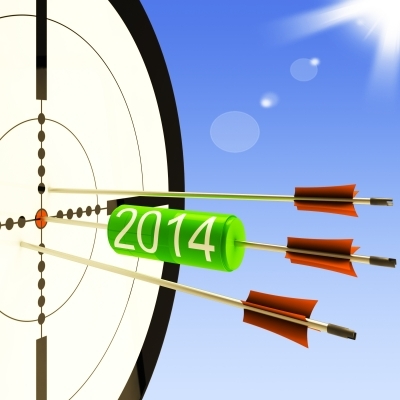 Changes to Make in Your 2014 Job Search for Success. The old Chinese proverb, “Insanity is doing the same thing in the same way & expecting a different outcome” is true in job searching. If you are doing the same thing over and over, but not getting results, it’s time to start doing things differently. Below you will find ways to tweak your job search for the success that is going to be yours. I say tweaks because you are already doing most of these things, but they need to be brought up to date. Your attitude. Believe you will get a job. If you believe in yourself, you will do what it takes to get that job. If you think it’s possible, nothing will be impossible to do. You will be fine-tuning your résumé to match the position. Preparing for the interview won’t be a chore because you know you will need the information. Interviewing with a positive mindset will set you apart from the competition. You will be assured of your skills, and of the value you will add to the company. Get out from behind the computer. There aren’t any jobs in the computer. Sure there are some on job boards, but not many. Getting out in front of people is the best way you can connect with people who can help you in your job search. People will help people they know, like, and trust. It’s difficult to get to know someone through electronic communication. They have to see and hear you for them to know you. Find networking events to attend. Turn events you attend into networking opportunities. Be flexible. Changes to interviews are happening. Interviews are now held by Skype, video, phone, face-to-face and others. You will be interviewed by one or several. It’s likely you will have to interview several times before the company makes a decision. Learn all you can about the best practices for each type of interview. Each one has nuances that you should be aware of. Prepare carefully. You are competing with the best qualified for the position. Your skills and experience will be similar, and the decision is going to be difficult. But the position is going to the one who stands out. Think of the upcoming Olympic Games. All the athletes have prepared and have the necessary skills to be there. The winners are going to have a tiny edge over the competition. The successful candidate is going to be the one who understands the needs of the company and how to fill them. Research, prepare and practice for each interview. Fill in the gaps of your résumé. Companies don’t want to hire unemployed people. It’s sounds crazy, but it’s true. Volunteer, take temp jobs, or free-lance at something to fill in the time gaps. It’s said that it’s easier to find a job, when you have a job. Even if it is a part-time retail job. Do the job well, your supervisor will be a reference or your future employer. Talk to the people you see, it’s a networking opportunity. You might already be doing most of these things to a certain extent. Kick it up a notch for success. Doing things differently will get you different results—success. Wishing you success in 2014! 3 Comments to "Changes to Make in Your 2014 Job Search for Success." This is a great question, I hope Arlene doesn’t mind my jumping in to comment. I would love to hear her opinions on this topic aswell. In my opinion, you can certainly list it ahead of your paid experience since it is most recent. But instead of calling it Volunteer Experience I would call it Related Experience or something along those lines. Hope that helps! Happy New Year. I love your advice. Anyway, I was wondering something. I haven’t worked full-time since June 2011, and my last paying job was last summer as a companion for an Alzheimer’s client till she died. Since then my employment has been volunteer work. My question is should I list my volunteer work before my professional work or after? Thanks. I agree with Shannon. By all means include it in chronological order with your paid experience if it is in line with your career goals. Should this be the type of work you are looking for, use the language similar to what is in the job positing to describe your experience. If not, a mention is sufficient to show that you are actively working. Not including this work will leave a gap that will have the reader wondering what you have been doing. Best wishes for every success in your job search!